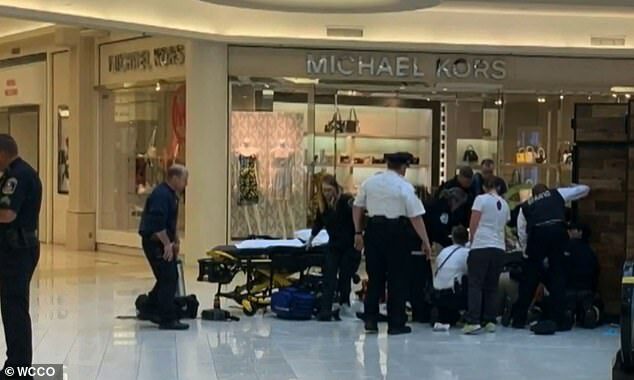 Police have identified the 24-year-old man who is accused of tossing a five-year-old child from the third floor at the Mall of America on Friday. Emmanual Deshawn Aranda was charged attempted homicide and is currently being held at the Bloomington Police Department, the New York Daily News reports. Aranda is said to be from the Minneapolis metro area. 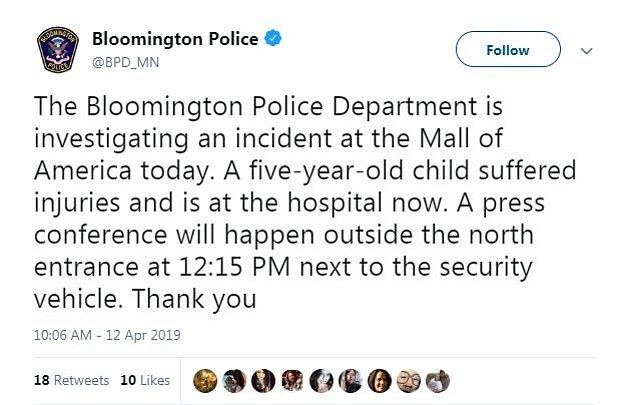 Police were called to the Mall of America in Bloomington this morning after the man, who is not thought to be of any relation, allegedly threw the child from the balcony. 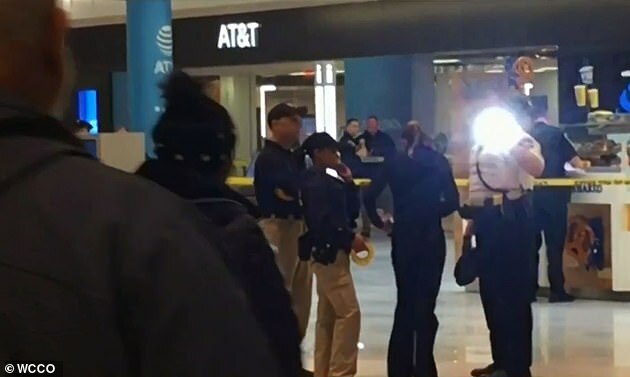 Witnesses say a woman at the mall was screaming hysterically after the child was thrown. 'She was screaming 'Everyone pray, everyone pray. 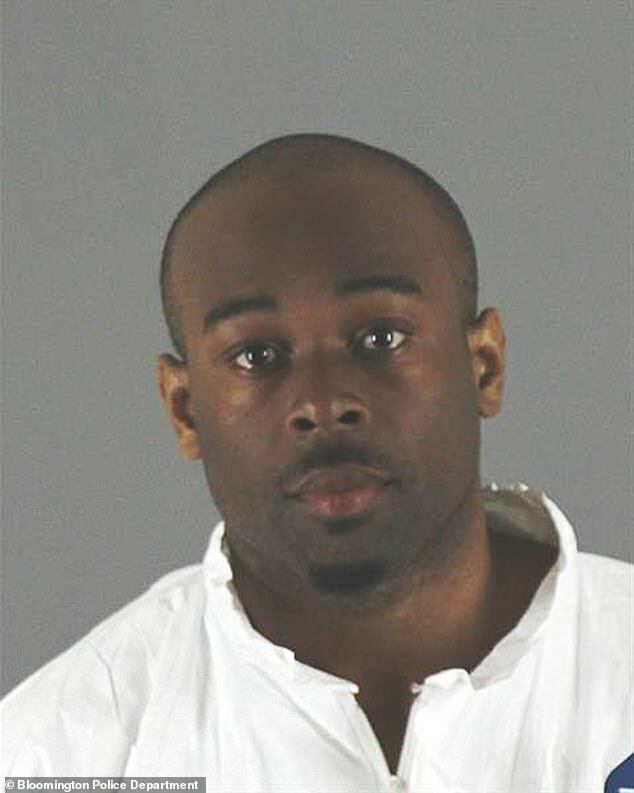 Oh my God, my baby, someone threw him over the edge,'' Brian Johnson told WCCO. Emergency crews had rushed to help the child who was seen lying in a puddle of blood. Police do not think there is any relationship between the man and the child or the child's family. Brian Johnson, a Minneapolis resident, told the Daily News he didn't see the incident, but said he saw the aftermath. 'Additional information from witnesses indicated the 5-year-old might have been pushed or thrown,' Bloomington Chief of Police Jeff Potts said. Police officers gave the child first aid along with witnesses, Potts said. He's currently at the Bloomington Police Department, Potts said, and authorities don't believe there is any further threat to the public. The area where the fall occurred has been closed. “This was a senseless act and words cannot truly express our profound shock and sadness,' the Mall of America said in a statement on Friday. 'Our immediate and only concern is for the wellbeing of the family and the child, as well as for any individuals who may have witnessed the incident.